No project is too small, Knutson Custom Construction is happy to help. This client realized the craftsmanship of Knutson first hand with this custom built in. 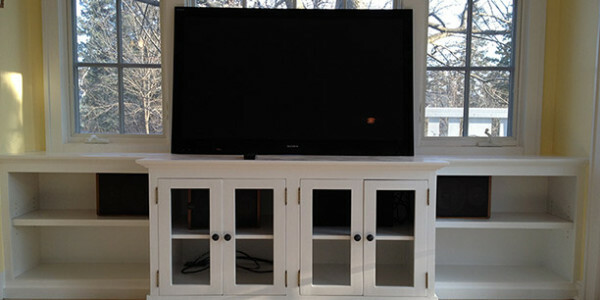 They wanted a clean, crisp, sleek built in to house their entertainment set up. Knutson came in with an idea, executed it beautifully and left the customer 100% happy with their new entertainment area.